In designing its innovative curriculum, the program’s founding tax faculty consulted tax practitioners, government administrators, tax policy advocates and other industry experts to develop a world-class educational experience at one of the premier law schools in the United States. At the center of the curriculum is a mandatory practical tax skills requirement, which is completed through tax externships, tax clinics, or specially designed tax classes. Ours is the only program in the United States that makes practical tax skills an inherent, mandatory part of the academic curriculum. The core full-time founding tax faculty of UCI Law’s Graduate Tax Program comprises world-renowned, lauded experts in their fields. All member of our founding tax faculty have practical tax experience and have gained significant experience teaching full-time at other graduate tax programs around the country before joining the faculty of UCI Law. In addition, our tax lecturers in law are all leading practitioners in major law firms, corporations, and government agencies. The founding tax faculty has taken great care to recruit lecturers who will actively contribute to the program and who will be genuinely interested in their students' academic and professional success. The founding tax faculty received broad leeway to design their “dream tax program.” This meant designing a new graduate tax program focused on student success and practical tax application. Our faculty is committed to helping our students thrive in the classroom and are dedicated to empowering them to reach their educational and professional goals. Individually and collectively, the faculty, staff, students, alums, and friends of the Law School have made UCI Law a place of excellence and innovation in teaching, scholarship, and public service. UCI Law had the highest ever debut ranking in U.S. News & World Report, and now is ranked No. 21 overall. 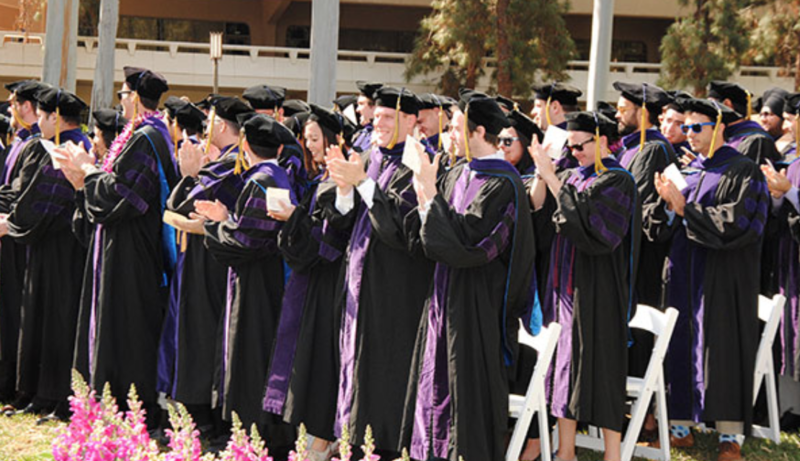 A vast majority of UCI Law students rate their overall educational experience as “Excellent,” and report developing clearer career goals and acquiring job-related knowledge at a significantly better rate than the national average (Law School Survey of Student Engagement – LSSSE). Our student-faculty ratio is among the best in the country. We combine the best of a small, collegial and supportive environment with a large and lauded research institution. 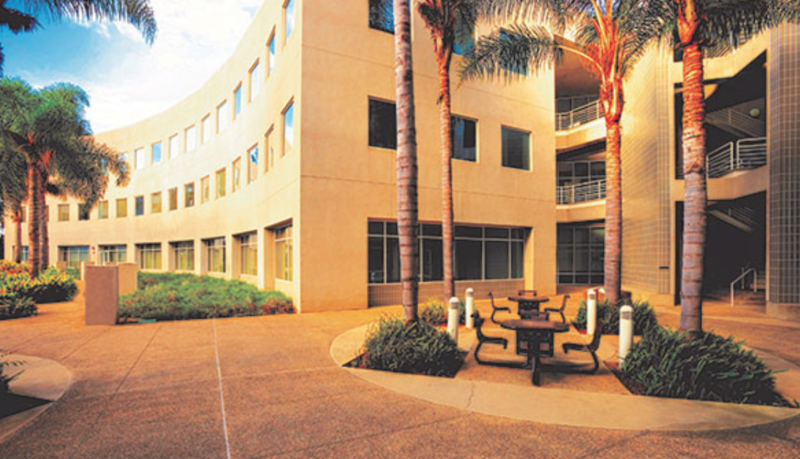 All Graduate Tax Program classes are taught in a new state-of-the-art facility, located near the UCI School of Law building. This 75,000 square-foot building includes expansive learning facilities, cutting-edge in-class technology, ample collaborative workspaces, a 3,000 square-foot ballroom, outdoor plaza, and on-site coffee shop. Admission to the Graduate Tax Program is highly selective. The program aims to maintain its small class size to enable students to engage with faculty and to take full advantage of the practical tax skills opportunities. UCI Law has one of the smallest full-time student-to-faculty ratio of any law school in the country. We aim for this ideal at the Graduate Tax Program as well. Domestic applicants must have completed a J.D. degree in a U.S. Law School accredited by the ABA prior to applying. Foreign candidates are eligible to apply if they have been awarded their home-country law degree prior to matriculation in the program, or are otherwise licensed to practice law in their home country. Foreign applicants also must demonstrate English language fluency sufficient to engage in the rigorous study of American tax law. The admissions committee carefully reviews each application it receives, and considers, among others, the applicant’s prior academic achievements, experience, and English proficiency (see “English proficiency requirements and waivers” below). The most important factor in the admissions committee’s considerations is whether the applicant is able to demonstrate a commitment to a career in tax law or tax policy. Applicants must convincingly demonstrate a prior interest in tax law (prior practical tax experience may be helpful, but is not necessary). The personal statement and the recommendation letters play an important role in this context. An interview via Skype or in-person (if possible) may be also be required. Students who have earned their initial law degrees from non-U.S. schools must demonstrate a high level of English proficiency in reading, writing, speaking, and listening. Applicants must arrange to take an English proficiency test (either TOEFL or IELTS) before January 31 and must have the test scores sent directly to the UC Irvine School of Law. The required minimum scores are 100 iBT (TOEFL) or 7.0 (IELTS). Applicants must submit official, current TOEFL or IELTS scores as an integral part of their application. Applicants who are (i) residents of Australia, Canada (other than Quebec), New Zealand, Ireland, the United Kingdom, or the United States (other than Puerto Rico) and (ii) who have completed a rigorous full-time program of at least three (3) years of post-secondary education in one of these countries, are not required to submit English test scores. Applications to the Graduate Tax Program are accepted on a rolling basis. As such, admission decisions also are made on a rolling basis. However, the admissions committee starts considering applications in September of each year, for admissions to fall semester of the following year. Applicants are notified as soon as practically possible after a decision regarding their application is made. Domestic students or foreign students who are permanent residents (green card holders) are encouraged to complete their application no later than April 1 in the year in which they plan to start their studies. For applications completed after that date, the committee may only be able to offer admittance for the following academic year. Foreign students are encouraged to complete their application no later than February 1 in the year in which they plan to start their studies, in order to allow ample time to arrange for student visas (if admitted). For applications completed after that date, the committee may only be able to offer admittance for the following academic year. You can apply to the program at any time on the LSAC website. There is no fee charged for the application. The admissions committee will not start considering your application until the application is complete. A complete application must meet all requirements listed below must be met. LSAC registration: You must register with the Credential Assembly Service (CAS) of the Law School Admission Council (LSAC) at www.LSAC.org. The LSAC CAS collects and validates all data, letters of recommendation, and transcripts on behalf of the applicant as a service to member law schools. Upon registering, you will be assigned a nine-digit account number by LSAC that begins with the letter L.
Recommendation letters: You will need a minimum of two (2) letters of recommendation (submitted directly to LSAC for inclusion in your CAS report). UC Irvine Law School will allow a maximum of four (4) letters of recommendation be made available to us through your CAS account. Please be certain to designate UC Irvine Law as a recipient of these letters through your LSAC account. Transcripts: Please request official transcripts from your law school (and any other graduate schools, if applicable) to be sent directly to LSAC and included in your CAS account (you will find instructions on how to do so in your LSAC application). English proficiency test: You must arrange to take an English proficiency test before January 31 in the year of application, and have the test scores sent directly to the UC Irvine School of Law. Personal statement: As part of your application, you will be required to attach a personal statement reflecting your interest in tax law in general, and in studying tax law at UC Irvine in particular. A generic personal statement is almost certain to result in rejection of your application. Prior tax experience: Prior work experience in tax law is not required. However, we do want to understand your past engagement with tax law. As part of the application, you will be required to (1) list all tax-related courses you have taken in an academic setting, as well as your grades in these courses, and (2) any tax-related work experience (if any). Resume: You will be asked to upload a current resume as part of your application. Failure to meet any of the requirements listed above may delay review of your application. Please check our FAQ page for any additional questions. You may also e-mail us with any application-related questions at GradTax@law.uci.edu. *Please note that all of your materials, including transcripts and letters of recommendation, must be translated into English. While all official academic records must be issued in their original language, if they are not in English they must be accompanied by English translations. If the issuing institution does not offer an English translation, it is the applicant’s responsibility to make sure an English translation is provided. The translation may be done by anyone as long as it is a literal translation, and it need not be certified. The application will be available August 1, 2018. 12 Credits of elective coursework, at least 4 of which must satisfy the Practical Tax Skills (PTS) requirement. Tax Practice and Procedure – 1 credit (half-semester course). Students who have completed their law degree outside the United States must also complete an intensive short course Introduction to United States Taxation. This course is offered during the orientation week before regular classes start. Students must successfully complete at least 12 credit elective classes offered in the spring semester. At least 4 of the elective credits must be completed in Practical Tax Skills (PTS) classes. The PTS requirement can be completed through a tax externship, a tax clinic, or classes that the program director designates or approves to meet the PTS requirement. These classes contain a significant component of practical tax skills, such as drafting transactional documents or simulation of transactions. Qualifying classes are designated PTS in the program course catalog. We strongly encourage students to apply for a tax externship position or a tax clinic and to complete more than 4 PTS credits. Tax Clinics and Externships may also be completed during the summer following the regular academic year. In such a case, however, the student will graduate in the fall following the completion of the externship or clinic. All students must attend the Tax Policy Colloquium speaker presentations (usually five or six presentations), offered in the Spring semester. Students may also choose to take the seminar for credit (this will require students, among others, to submit written comments), towards completion of the elective course requirement. Students must complete the Graduate Tax Program in an in-class format, while in residence on campus. Time spent in externships is considered “in-class” for such purposes. From time to time, certain courses may be offered in an online format. If online courses are offered by the Graduate Tax Program, students may earn up to 4 credits towards their degree requirements in online courses. Students must be in full-time residence at the law school for a minimum period of two consecutive semesters. Absent a waiver from the Academic Director, students must complete all degree requirements within three academic years. In order to be awarded the Graduate Tax Program, all students must complete the required coursework with a cumulative grade point average (GPA) of 2.7 (B -) or higher.